Please check the first part here. Under Brazilian Law, the Civil Code provides for the binding power of commercial proposals, regardless of the means used to convey it. Article 427 of the Brazilian Civil Code stipulates that "The offer binds the offeror, if the contrary does not result from the terms of the proposal, the nature of the business, or the circumstances of the case". Moreover, according to Article 429, "The public offer (note: an offer to the public) is deemed as equivalent to a proposal whenever it presents the essential requirements necessary to establish a contract, unless the opposite results from the circumstances or usages". As one can perceive, the law sets a protective tone towards the prospective buyer in Brazilian law. In theory, there is no requirement of written form to the formation of purchase and sale of goods in Brazil, so the manifestation of will can occur by any means. Even so, in order for a promise or offer to gain binding force, it should contain the essential elements of the contract of sale: a lawful and possible object, a determined or determinable value and a determined or determinable recipient. Consequently, a promise of sale made in electronic formats, such as email, can bind the parties. However, Brazilian law does not provide specific rules to this sort of trade and, unlike China, has not ratified any of UNCITRAL’s conventions on electronic commerce such as the 1996 Model Law on Electronic Commerce and the 2001 Model Law on Electronic Signatures. However, a number of practical problems may arise if an international agreement or a promise of international sale has no written form, especially with respect to its effects upon third party or regarding the production of evidences before a national court. Article 227 of the Brazilian Civil Code, for instance, limits the possibility of using solely witness deposition to make proof of contracts or deals with a value superior to ten times the minimum wage effective in the country. In 2010, that was roughly equivalent to USD 2,830.00. The communication of proposals the acceptance of proposals, and the revocation of proposals and acceptances, respectively, are deemed to be made by any act or omission of the party proposing, accepting or revoking by which he intends to communicate such proposal acceptance or revocation, or which., has the effect of communicating it. In general, this article has been interpreted by Indian courts in a liberal fashion. It could be said that India tends to accept as many evidentiary sources of transactions as possible. Arbitration is a rather broad topic. Hence, this chapter will focus only the essential regulations of each BRIC country in this regard. Arbitration in China is regulated by the 1994 Arbitration Law of the People’s Republic of China . This law is clearly inspired by the UNCITRAL Model Law. The general principle is that all private commercial disputes may be submitted to arbitration. Themes prohibited by the Act are listed in its article 3. 2. Administrative dispute encompassed within the jurisdiction of the governing body relevant in accordance with the Law. A people's court shall not accept an action initiated by either party if the parties have concluded an arbitration agreement, unless the arbitration agreement is invalid. Chinese law does not request all arbitrations to be conducted in domestic grounds and allows foreign arbitral awards to be promptly enforced (without prior approval/validation by a court). Exceptionally, the judge might deny enforcement of an award if it considers that the decision violates peremptory domestic rules. China discourages the refusal of enforcement of foreign arbitral awards based on public policy, though. Chinese courts adhere to a mechanism whereby, prior to refusing enforcement of a foreign arbitration award, they must obtain authorization from a superior court. After this system has been adopted, in 1995 , very few foreign awards had their enforcement denied on the basis of contradiction with public policy. Another notable point is that Chinese law, in order to encourage the use of arbitration institutions and improve the legal support received by the parties, prohibits ad hoc arbitrations. The parties should always take their dispute to a regularly constituted arbitral institution, rather than only appointing one or more arbitrators or taking care of the procedure themselves. An arbitration commission shall be selected by the Parties agreement. The jurisdiction by level system and the system of the district court did not apply to arbitration. The CIETAC - China International Economic and Trade Arbitration Commission - is one of the best-known arbitration institutions. In India, the law governing the arbitration is the Arbitration and Conciliation Act of 1996, which replaced the previous arbitration law, issued on 1940, to better suit the rules of UNCITRAL Model Law and the dynamics of international business. In addition, other domestic laws are also relevant, like the 1908 Civil Procedure Act. "To attract the confidence of International Mercantile community and the growing volume of India’s trade and commercial relationship with the rest of the world after the new liberalization policy of the Government, Indian Parliament was persuaded to enact the Arbitration & Conciliation Act of 1996 in UNCITRAL model and therefore in interpreting any provisions of the 1996 Act Courts must not ignore the objects and purpose of the enactment of 1996. A bare comparison of different provisions of the Arbitration Act of 1940 with the provisions of Arbitration & Conciliation Act, 1996 would unequivocally indicate that 1996 Act limits intervention of Court with an arbitral process to the minimum’’. The Arbitration & Conciliation Act of 1996 also applies to international arbitration. Article 2(1)(f) defines International Commercial Arbitrations as those relating to disputes arising out of legal relationships considered commercial under the Indian law, and in which at least one party is (1) a national of another country or living in another country; (2) a legal person registered in another country; (3) a company or association whose central management and control are a country that not India; or (4) if one party is the government of a foreign country or one of its offshore bodies. India law allows the parties to apply for enforcement of foreign arbitral awards directly before the competent court, without need for previous approval by any superior court. Indeed, Article 47 of the Arbitration & Conciliation Act of 1996 explicitly mentions that, to be able to enforce decisions regarding international arbitrations that are in accordance to the New York Convention, the party may simply submit the court the original award, the arbitration agreement and proof that it constitutes an international arbitration. Indian law foresees the possibility of refusal of enforcement of an international arbitration award, although only in seldom cases, all in line with the principles of the UNCITRAL (Ex: if the parties were incapable or in cases of arbitration over matters concerning Indian public order). Commercial arbitration in Russia has a history of more than a century. Currently, there is a law designed specifically to international arbitration procedures: the 1993 Federal Law on International Commercial Arbitration, largely inspired by the UNCITRAL Model Law and by the UNCITRAL Arbitration Rules. Ad hoc arbitrations are allowed in Russia, although it is more common to recur to arbitration institutions, such as the Court of International Commercial Arbitration of the Chamber of Commerce and Industry of Moscow. Interestingly, the Chamber of Commerce in Stockholm, in Sweden, is also a traditional option for those seeking resolution of disputes concerning foreign investment in Russia. Although the Federal Law on International Commercial Arbitration allows for arbitration of a virtually unlimited number of commercial matters, the domestic law of arbitration in Russia (The Arbitration procedural Code of the Russian Federation) lists several cases in which it is not possible to exclude the regular state jurisdiction. 4. disputes on invalidation of entries in the state registers (e.g., the real estate register). The assessment of these matters is of great importance when one is trying to enforce foreign arbitral awards. More details on the topic 4.4.4. Article 28 of the Federal Law on International Commercial Arbitration enables the parties to choose the substantive law applicable to the conflict. The wording of the article deserves praise, for it embeds other extremely useful rules. For instance: (i) if the parties do not specify the applicable law, the tribunal shall apply the conflict of laws rules to determine which material law is appropriate to govern the arbitration and, (ii) in all cases, the tribunal must decide according to the terms and usages applicable to the transaction. The Russian law is favorable to the enforcement of foreign arbitral awards. Both its own arbitration law and the New York Convention of 1958 play a role on this. The reasons for rejection of a foreign arbitral award are basically the same as the ones listed by UNCITRAL model law, including incapability of the parties and irregular composition of the tribunal. Two exceptions, however, present concern. Paragraph 2 of Article 36 states that awards dealing with issues that are not capable of settlement by arbitration under the law of the Russian Federation or that would be contrary to the public policy of the Russian Federation shall not be enforced. These last two exceptions were, in many cases, used by Russian courts to deny enforcement of awards which were, prima facie, legitimate. Situations like these yielded the national courts the reputation of being hostile to awards rendered in other countries. Since the list of the grounds for refusing enforcement is limited by the New York Convention, contravention of public policy often serves as the ultima ratio for rejecting enforcement. In some instances, public policy is understood by the courts too vaguely. One notorious court case has been mentioned so many times among lawyers and in the mass media that it has virtually become a joke. In the United World Ltd. v Krasny Yakor (Red Ancor) case, the court denied enforcement of an arbitral award in the amount of less than USD 40k on the grounds that its enforcement would lead to bankruptcy of Red Ancor and would consequently cause serious damage to the regional economy where the debtor was domiciled and to the economy of Russia, so such damages were in contravention of Russian public policy. Although the example is quite dramatic, the fact is that, recently, enforcement of foreign arbitral awards in Russia has become more frequent and free of surprises , indicating improvements in the courts’ perception on the importance of arbitration. The Brazilian arbitration law (Law No. 9.307/1996) is clearly inspired by UNCITRAL Principles. His most controversial point is the differentiation between the arbitration clause and the submission agreement. To begin the study of the peculiarities of arbitration in Brazil, it is necessary to go through the preliminary definitions brought by the law. The parties can submit their disputes to arbitration through an arbitration agreement, understood as the arbitration clause and the submission agreement. The arbitration clause is the convention through which the parties in a contract agree to submit disputes which may arise with respect to that contract to arbitration. § 1 The arbitration clause shall be in writing and may be contained in the contract or as an appendix. Where there is an arbitration clause (which must be in writing), the arbitration procedure begins with the desire by one party to establish an arbitration procedure. In response, the other party or parties should manifest themselves. Should the parties agree to meet the terms of the arbitration clause, they shall celebrate another document: the submission agreement. Only then, the parties may proceed to the appointment of arbitrators according to the terms of the arbitration clause. The law considers arbitration as instituted when the parties ‘‘accept the appointment by the sole arbitrator, or by all, if there are several’’. Hence, If the other party refuses to adhere to the proceedings by entering into a “submission agreement”, the institution of the arbitration will remain barred. The remaining option to the interested party is to provoke the national courts, by filing a lawsuit, requesting the judicial summoning of the reluctant party to sign the submission agreement. VI - allows the request for institution of arbitration. As it can be seen, any appeal will have no suspensive effect, thus enabling the continuation of the arbitration while there is no final ruling in the judicial sphere. In practical terms, however, there is evidence that parties rarely start an arbitration procedure when there is no certainty about the decision validity and subsequent enforceability. It can be concluded, therefore, that the Brazilian Arbitration Law did not eliminate the need for a submission agreement. This fact is widely criticized by the doctrine, which considers this model contrary to the most advanced legislation. At this point, doctrine highlights an exception, pointing out that, if the arbitration clause establishes that arbitration shall observe the rules of a specialized entity, the arbitration clause shall prevail even without the subsequent “submission agreement”. (II) demand CAMARB to promote the continuation of the arbitration, provided that the arbitration clause determines the application of Arbitration Rules of CAMARB, being the default party summoned to all the procedural acts and being able to, at any time, present itself to the arbitration. Art.34 A foreign award shall be recognized or enforced in Brazil in accordance with international treaties effective in domestic law and, failing that, strictly in accordance with this Act. Sole Paragraph. An arbitral award issued outside the country shall be deemed a foreign one. On the other hand, an arbitration award issued in Brazil in accordance with the Law No. 9.307/1996, even one dealing with an international contract, need not be approved by the Supreme Court and may be executed promptly. Thus, if the execution of an arbitral award in Brazil is desirable, the award should be issued in Brazil. This indeed has been the practice adopted by several companies. In relation to this treaty, Russia, China and India have adopted the reservation that they only recognize arbitral awards issued on States Parties to the convention . Fortunately, that does not implicate lack of enforceability among BRIC countries, since all are parties to the Convention. China and India, however, also adopted a provision according to which they would only recognize foreign arbitral awards if they were related to trade contracts, defined as such according to their national law. Brazil has not adopted any reserve, but its domestic law only recognizes the arbitral awards on disposable rights, although no limited to trade related subjects. One should note that the provisions above does not necessarily mean that these arbitral awards can be recognized immediately, since, according to the basic principle of private international law, foreign judgments can not violate the internal public order. It follows that fundamental elements, such as the summoning of the other party, the adherence of the decision to the limits of the arbitration agreement and the observance of matters that cannot be subject to arbitration. Recently, the BRICs suddenly realized its importance and similarity, as if awaken by an outside observer. It is a matter of concern that there is still no unanimity among these countries regarding various conventions on international trade. Fortunately, all countries demonstrate receptivity towards arbitration, which is a way around that setback. In this sense, one might say that entrepreneurs have a safe and reliable option to resolve conflicts in their contracts. Lawyers and businessmen must observe the pioneering voices that explore ways to facilitate, with the existing tools, a higher level of integration. Among them, Professor João Baptista Villela, PhD, which contributed to the preparation of the UNIDROIT principles, and have translated the final text for the Portuguese. Villela claims that the UNIDROIT Principles should be used by judges from around the world as universal principles of law. The mere dissemination of this doctrine would enormously facilitate the legal relationship between the BRIC countries. 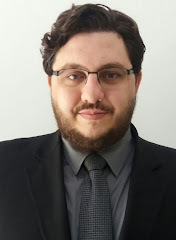 Also, this paper should mention the name of Professor Bruno Wanderley, PhD from University Federal de Minas Gerais - UFMG and major supporter of the study of International Contracts. Moreover, the Study Group International Trade Law – GEDICI, linked to UFMG and of which the author is proud to be a founding member. This group has produced notable works in the area of international arbitration. Finally, I believe we must seize the momentum created by the recent celebration of cooperation agreements and the joint statements issued by BRICS to fix the yet poor legal infrastructure that governs the relationship between them. And, as a result, improve the legal relationship inside this promising economic block. DHOLAKIA, Shishir. Ratifying the CISG - India's Options. Presented in "Celebrating Success: 25 Years United Nations Convention on Contracts for the International Sale of Goods" (Collation of Papers at Uncitral - Siac Conference 22-23 September 2005, Singapore). FLECHTNER, Harry. The United Nations Convention on Contracts for the International Sale of Goods. Online Lecture at UN Audiovisual Library of International Law. ZELLER, Bruno. CISG and China. In. : WILL, Michael R. (ed.). The CISG and China: Dialog Deutschland-Schweiz VII, Faculté de droit, Université de Genève, 1999, pp. 7-22.